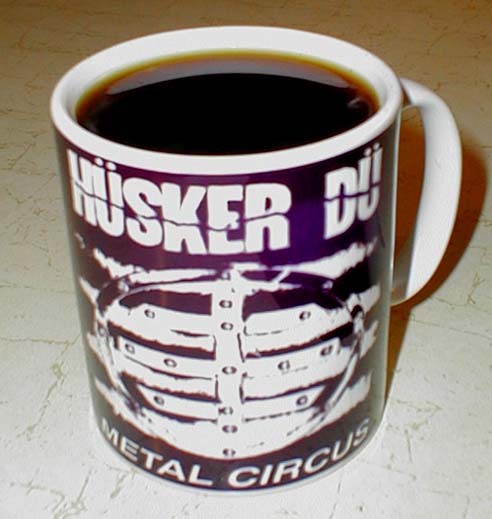 This second Hüsker-themed mug first appeared on eBay in August 2004, close on the heels of the Candy Apple Grey mug. The artwork is perhaps a little better on this one, at least if you prefer distortion to blurriness. The coffee shown is better too; it's Hawaiian Kona Extra Fancy, perfectly roasted just short of the full city stage by Armeno Coffee Roasters of Northborough MA.